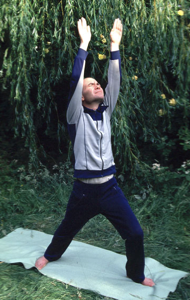 Maria Gunstone, the originator of YOU & ME Yoga has taught Yoga to disabled people since 1978, and has trained more than 2500 staff in special schools, training centres, community colleges, hospitals and homes. 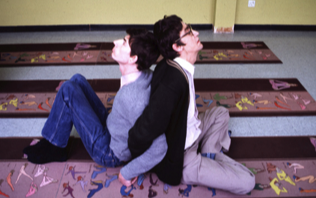 With support from Mencap, the YOU & ME system as it is today, was developed in the late 1980s and piloted several years later by the Open College of the North West. 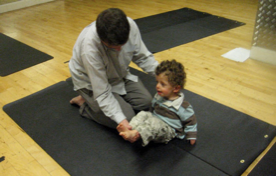 YOU & ME Yoga is suitable for people of all ages and disabilities. It improves quality of life by increasing their mobility, dexterity, concentration, adaptive behaviour, communication, sensory-awareness, self-confidence and well-being. Maria has been student and practitioner of yoga since 1973 following a car accident where she sustained multiple injuries. She has since dedicated her work to the service of others that can benefit from yoga. She won a Churchill Fellowship to visit India to investigate the therapeutic value of yoga for disabled people and studied with most of the great masters of the different yoga traditions. 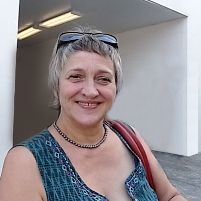 Her articles have appeared in publications worldwide, and Maria has written and produced some 21 works, published by her own company.